Last year, my quest to find a house to finally call it my home has ended. I paid the reservation fee and made it through the monthly payment to the developer until it gets transferred to PAG-IBIG (a government agency catering for housing purposes). I was happy and excited, though it is really hard to make it through the month as I am also paying my housing rent and other city services in my apartment. Still, I was still happy then because I knew that in the nearest future I will be having a small little house that I can call it my own. Early this year, my housing loan gets approved and I am so excited to move in. I moved it to my new home at SummerPointe Residences very happy at last. Last January, I had inspected the house, including the wall, doors, windows and everything seems to be fine. The windows and doors perfectly fits. I requested the developer to do some minor touching up on the small cracks on the wall and they said they'll definitely do it. However, it took me 3 months before they'd finally fixed it with splashes of cement on the wall to cover it up. I have to go there on a weekly visit from work to follow it up for 3 long months before they finally fixed my issue. A simple problem that Prosperity Builders IGNORE! Application for city services, like Meralco and water took also a lot of my time as according to the developer, its no longer their problem. I have to do it on my own. Fine, I filed my vacation leave and fixed all the requirements so I can have my own water and electricity. I am just so envious to those who have a responsible developers who are willing to help their clients to set these up for them. It was still ok with me at least I am learning the ins and outs of such transactions. When I moved in, last summer around MAY, I noticed that the faucet in the CR has a leak, including the bowl and the shower. So I thought may be it was just new and give it a day or two before I reported it to the engineer office on site which I did because the leaking never stopped. I had to follow up with the engineering office almost every week to ask them to do some action on my request and they keep saying it was being worked on. 3 months had passed till finally someone came and tried fixing it. They noticed that the leaks on the faucet is because the valve has crack and promised to change it. I told them to come and visit me on weekend because I am asleep on weekdays. They oppose my preferred day because accordingly it is a weekday. The guard on duty said they are in the vicinity on Saturday. So I further explained that I might be asleep when they come and I might not be able to look after them or worse the problem wont be fixed. I told them that I can no longer afford to take a vacation leave as most of my vacation leaves are used up when I am fixing all the requirements for the city services. They agreed to come but no one appeared. Until now my problem on the faucet gets worsened and still no help has arrived even though I personally handed them the letter. I had my 2 week use of the water and it spiked up to 28 cubic meter. Unbelievable because we just use the water every weekend to do our laundry and everyday to take a bath and to wash the dishes. That's all and it is 28 cubic meter. In my letter, I told them that we are wasting resources here because the dripping never stops. Another problem that I raised to the developer many months ago was the septic tank issue of my neighbor dripping on my backyard. That was part of my complain. However, I am very much surprised when they told me that the problem gets solved when I will extend my house as it will be covered by my own wall. I am surprised but gained my composure and told them they have to fix it because I am not extending in the near future. It could be a cause of illness when they will not fix it. Of course it is many months and counting and no one seems to care about it. For me, this is not part of the contract to sell that when a septic tank leaks from your neighbor is not part of their business even though they are the ones who set it up. The water coming from the septic tank flows rigorously from my neighbors tanks to my own backyard. My friends jokingly says I have a built in fountain full of bacteria in my own backyard. 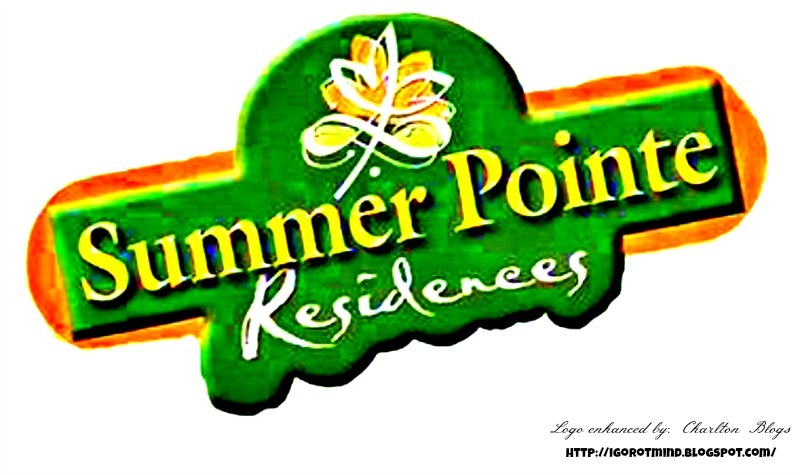 A potential hazard to health that Prosperity Builders (the developer of SummerPointe Residences) IGNORE. A septic tank is a tank in which the solid matter of continuously flowing sewage is disintegrated by bacteria. It appears to me that the developer cares less when the houses they developed has been sold. It appeared to me that the developer doesn't care about their clients time for as long as they are being paid. I took a pre-selling house because its cheaper. However, I never imagined that a simple request took much of my money, effort and time and it never get fixed. Since there are no action coming from the developers side, I took charge and roam around the subdivision asking those workers who could possible help me. Finally I saw kuya who checked initially worked on my request. I asked him if he could come back and fix what he promised to fix months ago. He did come after long hours of waiting. Unfortunately I have to tell him that I have a visitor coming and that he can come back on Monday (thats after 2 days). Of course he did not come.. .accordingly because its holiday... but I was able to see his colleagues working on a certain project. Finally, the following day (Tuesday) I went back on their construction site and asked if the tubero is coming, they said they dont know. A very good samaritan, (their truck driver) came and help me fix broken water valve. I will just put water sealant on all the other dripping water just to solve it because my water bill is sky rocketing as hell. Plus I cant push a person who doesn't want to move. Still my problem is the dripping water coming from my neighbors septic tank. That's the only one left. For me, it wasn't my neighbors fault if they have a leaking septic tank because they did not build the house. They are also, a customer like me. I wouldn't think it is my fault too because in the first place I loaned the house with the impression that I can live with it in and out without a problem. I can move around even without the extension they were saying. They say that the dripping will be fixed when I would have my extension wall. Oh no! 1. With or without the extension the dripping will still be there. 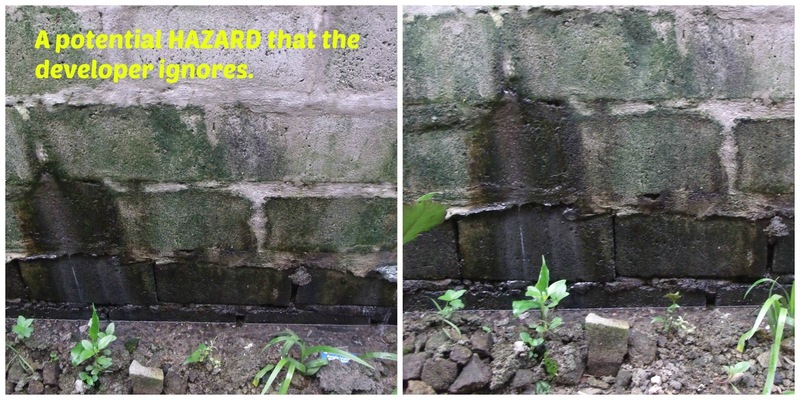 Water from the septic tank will still accumulate in between the wall. Plus, 2. the dripping from the septic tank should not be there in the first place. 3. It wasn't our fault to that the septic tank is dripping on our backyard or dirty kitchen (however you call it). 4. You don't expect me to go to your site office or to your main office for me to beg you to fix the problem because every time I go there I am shelling out a budget. Remember that not all of your client have a silver spoon they too are wage earners trying to get by. 5. The developer billed me for a very high water consumption where in the first place I already raised the issue right after I discovered it. You haven't help your clients at all. I was the one who made sure that I get electricity I sacrificed my time and effort and money there. Now I am using the item I bought I discovered that there are minor problem I asked for your help and you just shrugged your shoulders and turn away without a word. My worry is that... my current issue is just minute. What if, it was a bigger issue? They will just abandon there customer hanging? I am praying that my problem is not a tip of the iceberg.